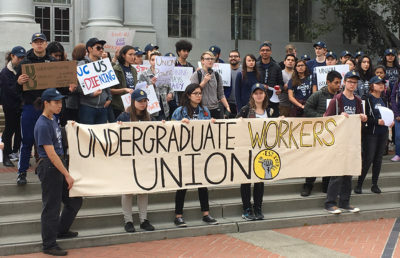 An email from a UC official informing graduate students about joining a union was sent Monday, following a state amendment signed the week prior allowing graduate student researchers to be represented by unions. 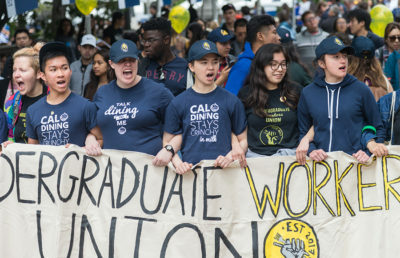 Fiona Doyle, the vice provost for graduate studies and dean of the graduate division, sent out the email to all UC Berkeley graduate students, and a similar email was sent by all campuses in the UC system to their respective graduate students. According to Maggie Downey, UC Berkeley graduate student researcher and the campus chair of United Auto Workers Local 2865, a union representing UC student workers, the email was intended to discourage UC Berkeley students from joining UAW. 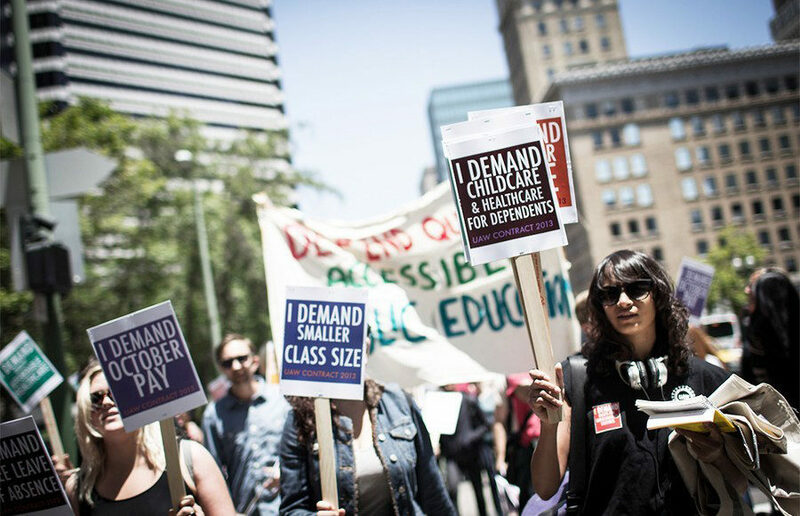 Downey described the email as a “deliberate misdirection” because any change in wage is typically attributed to a union’s efforts and not the individual’s. Downey, however, said the email indicates GSRs are currently able to negotiate salaries, which she says is not the case. The wages for GSRs did increase Oct. 1, in part because of UAW’s efforts, Downey said. In the fiscal year 2016, the annual salary of a GSR ranged from $37,956 to $74,388 — this range is projected by UC Office of the President to increase to $39,096 to $76,620 for the fiscal year 2017.